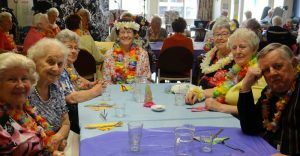 Uit en Thuis is our flagship social program that has been entertaining people for years across 7 different sites across South Australia. 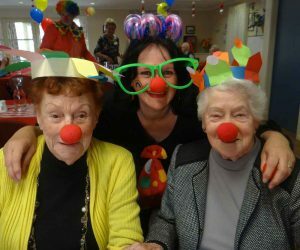 Uit en Thuis is a Dutch inspired social group offering entertainment, games and a home cooked lunch. The sessions held weekly provide an opportunity for both ladies and men to chat, make new friends and spend time with existing ones. Our program is second-to-none including Theme Days (Circus Day photo above and Hawaiian Day to the left) fashion parades, animal farm visits and outings to places like the Central Market or Monato Zoo. 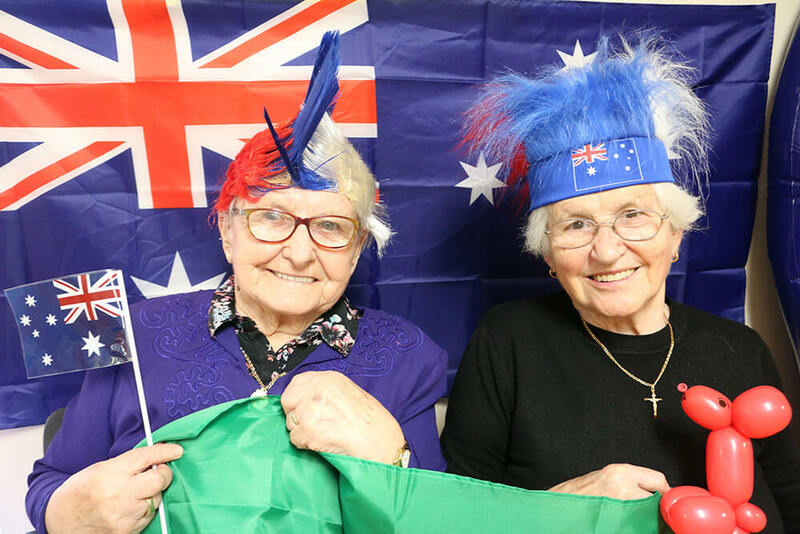 Uit en Thuis social program is offered at Oaklands Park (Rembrandt Court), Green Fields, Goolwa, Victor Harbor, Mt Gambier, Whyalla and Bridgewater. Engage in a past interest or get involved in a new one. Unleash your creative side with painting, photography and creative art projects. If you love movies join us for our indoor cinema experience, with an extensive library of new and old movies, morning tea and lunch at our on site Cafes. If you have a love for the Theatre join us for the latest Theatre shows. Our packages include discount tickets to your favourite shows, dinner and transport to and from the show. Mastering technology can be challenging, whether it’s a computer, tablet, smart TV or the latest in devices we can help you to master the art and become confident in your abilities. Call us today for more information, assistance or to arrange a home visit.